I’m sure a lot of you will know Mark Hipkiss. He’s been about for years with his camera and had kindly supplied our website with some excellent pics. 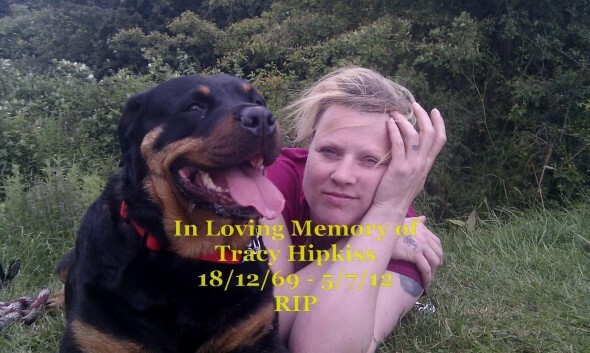 Sadly, Mark’s wife Tracy passed over recently. 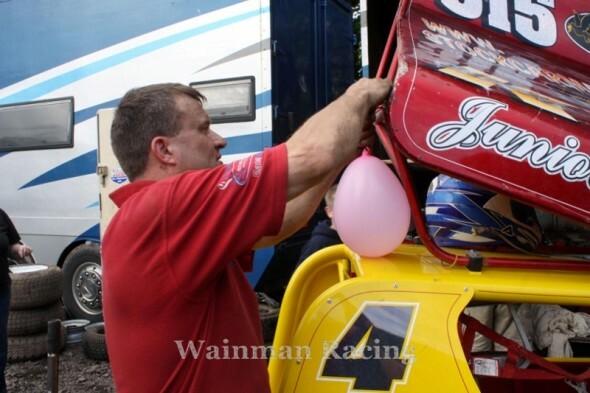 In her memory, lovely Hollie asked several drivers if she could tie balloons to their cars at Coventry, hence Team Wainman, amongst others, flying a balloon at the British Championship meeting. Mark has written the following piece about his lovely wife. 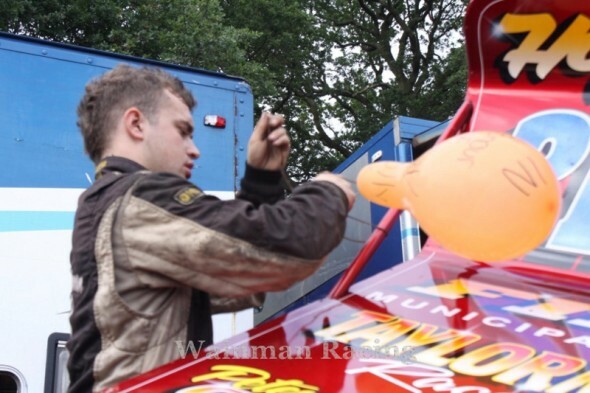 I’m sure his stock car family and friends will do their best to support him and his family at this very sad time. About a week after the Birmingham Gala meeting, my partner as she was, Tracy, said she had started getting a bit of back ache.. She also had some lumps sticking up in her neck. I said the lumps were lymphnodes meaning she had an infection of some kind. Anyway, she went to the doctors to get checked over. The Doc said her back was sciatica, and sure enough the lumps were lymphnodes.. He said to have a blood test and return in 2weeks. The blood test came back all clear, but the lumps were still there and so was the bad back. To cut a long story short, by mid-February she was eventually asked to go to Leicester Royal Infirmary to have some samples taken out of her neck. Two weeks later we went for the results and were told bluntly, its cancer and we’re keeping you in. The cause of her bad back was because the cancer had caused her spine to collapse. She was given an Radiotherapy and an MRI scan straightway. 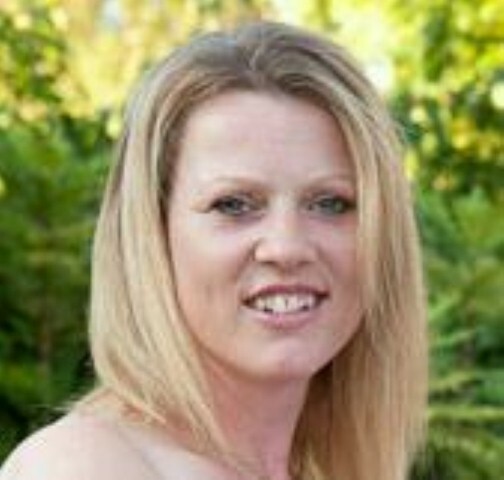 When we got the results back, our world was shattered beyond belief..
Tracy had Cervical Cancer, which unfortunately was an uncommon type, therefore undetected until it too late. This then hit the lymph system and had spread around her sacrum (pelvis/coxic area), patches in her back, lung, liver, spine, neck and right pelvis, which was also collapsing. She had 2 lots of Chemo, 5 lots of Radio, but wasn’t responding. The cancer was too aggresive. The Chemo was doing her more harm than the cancer, so was with drawn. She had an Op to ease her back pain, and was given 6-9 months. Sadly this ended up being around 6-9 weeks. We had planned to marry in a year or two, but due to what was happening, we rushed through a wedding.. Only just though.. It was what we both wanted so badly.. I have been off work the last 7 weeks nursing at home. Tracy wanted to die at home, in my arms. Although I couldn’t do much for, the things we planned, I made sure that happened.. She passed away in my arms. We first met back in 1983, at school, yet never spoke to each in all the time we were at school. We didn’t dislike each other, just that our paths never crossed. 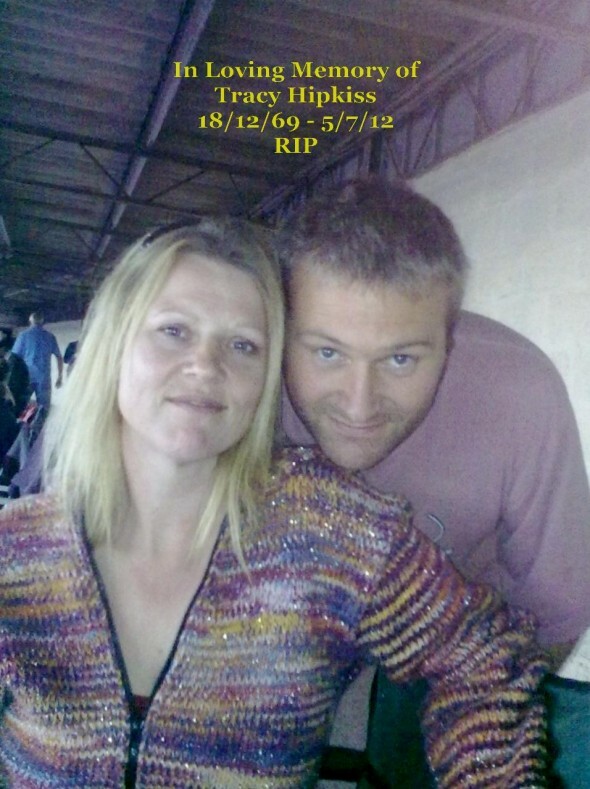 2yrs ago we ‘met’ through Facebook, and as she lived 75mls away from me, we just chatted the time away on there. Eventually she lodged at friends house who owed her a favour in Grantham where I was still living. She sent me a message via Facebook asking me to guess where she was, lol. And the rest is history really.. We met up, walked and talked for weeks.. A proper old fashioned romance.. No funny business. Eventually, we decided we were what each other wanted and moved in together. And we both got it right. We suited each other to a T.
I’ve been following F1’s all my life, from 6 months old. Tracy had never even heard of them, let alone see them. When I told her my passion, the first thing she said was ‘when are we going ?’ Bloody perfect !!! She loved the racing, atmosphere and a walk round the pits when we first arrived. But she was happy to stay track side and watch the other formulas race, whereas I can’t stand watching anything else, so go and take photos. The idea of the balloons came around because my daughter blew a few up on the Saturday. 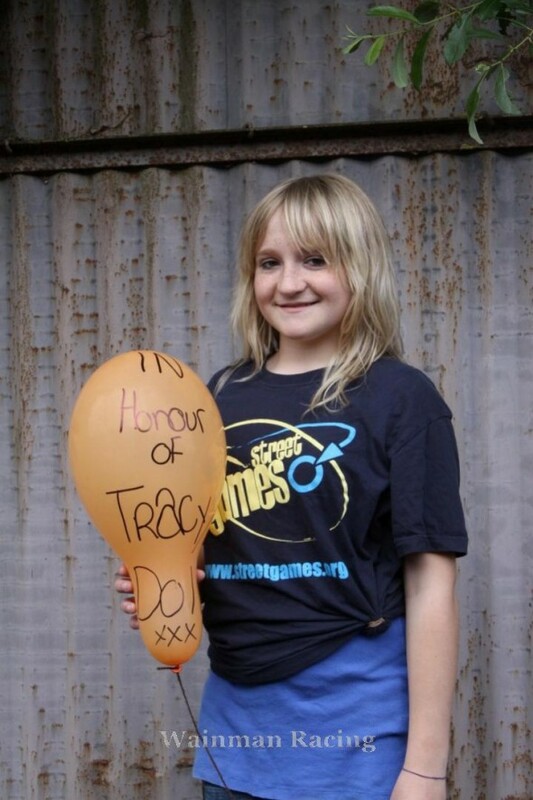 Jokingly I told her to write on them for Tracy and we could ask a few drivers to tie them on their cars.. She went daft and blew up loads more, lol. After 2 failed abusive both mentally and 1 physical, marriages, as you can imagine, she felt worthless. I told her everyday I loved her, she was pretty and beautiful. The happiest and saddest day of my life, was the last day she was able to stand. She looked in the mirror, looked at me and asked ‘Mark, I am pretty aren’t I ?’.. I said ‘Yes Doll, you are. You are stunningly beautiful’. I could have cried for her.. 2 years it took to sink in.. But i’m so glad it did. Frankie ties a balloon to his car.